Mount Hebron is a Jewish cemetery located in the Flushing neighborhood of the borough of Queens, in New York City. It was founded in 1903 as the Jewish section of Cedar Grove Cemetery, and occupies the majority of the grounds at Cedar Grove. The cemetery is on the former Spring Hill estate of colonial governor Cadwallader Colden. It is noted for its Yiddish theater section. About 217,000 people have been buried in Mount Hebron since it opened. There is a large Workmen's Circle section in both Cedar Grove and Mount Hebron Cemetery, with about 12,000 burials of Jewish and non-Jewish members of the Workmen's Circle. There is also a large monument erected by immigrants and descendants of immigrants from the city of Grodno in what is today western Belarus. The monument is dedicated "In memoriam to our dear parents, brothers and sisters of the city of Grodno and environs who were brutally persecuted and slain by the Nazis during World War II." . This is one of several such monuments in the cemetery. A part of Mount Hebron Cemetery's block 67 is reserved for people who worked in New York City's Yiddish theater industry. Louis Buchalter (1897–1944), organized crime figure, boss of Murder, Inc.
Selig Grossinger (d. 12/18/1931), founder of Grossinger's, the famous Catskill Jewish resort. His wife and several descendants are also buried in the plot. He was part of the Balegroder Congregation burial society. ^ "Map - Cedar Grove Cemetery Association". mounthebroncemetery.com. Mount Hebron Cemetery. Retrieved 17 April 2016. ^ a b Kilgannon, Corey (2011-03-15). "Yiddish Theater Bids Farewell to Shifra Lerer". New York Times. Archived from the original on 2 April 2011. Retrieved 2011-03-20. ^ "Julie Bender Is Dead; Basketball Star in 30's". New York Times. January 15, 1982. Retrieved 17 April 2016. ^ Berger, Joseph (January 13, 2010). "Mina Bern, Versatile Yiddish Actress, Dies at 98". New York Times. p. A29. Retrieved 17 April 2016. ^ "Ben Bernie Rites Attended By 1,200 – Friends of Stage, Screen and Radio Say 'Au Revoir' Here to the 'Old Maestro'". New York Times. October 29, 1943. p. 22. Retrieved 17 April 2016. ^ "Max Bozyk Dead; Yiddish Actor, 71 – Performer Collapses After Town Hall Appearance". New York Times. April 8, 1970. p. 43. Retrieved 17 April 2016. ^ Sullivan, Ronald (October 2, 1993). "Reizl Bozyk, an Enduring Star Of the Yiddish Stage, Dies at 79". New York Times. Retrieved 17 April 2016. 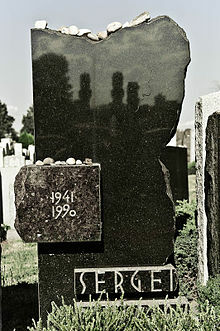 ^ a b "Lepke And Weiss Are Buried Here – Rites for Electrocuted Racket Chief and Aide Attended Only by Families". New York Times. March 6, 1944. p. 34. Retrieved 17 April 2016. ^ Hagen, Charles (August 25, 1995). "Alfred Eisenstaedt, Photographer of the Defining Moment, Is Dead at 96". New York Times. Retrieved 17 April 2016. ^ The Broadway League. "Jack Gilford – IBDB: The official source for Broadway Information IBDB: The official source for Broadway Information". ibdb.com. Retrieved 6 August 2015. ^ "Jennie Goldstein, Actress, 63, Dead – Leading Tragedienne of the Yiddish Theatre for 20 Years Made Debut at 6". New York Times. February 10, 1960. p. 37. Retrieved 17 April 2016. ^ "'Dropper' Is Buried'; His Slayer Indicted – Heavy Guard of Police Keeps Crowd of 3,000 in Check at Gangster's Funeral – Banton Sounds a Warning – District Attorney Declares "Gunmen Are Going To Get What Is Coming To Them"". New York Times. August 31, 1923. p. 2. Retrieved 18 April 2016. ^ Goldstein, Richard (28 December 2004). "Eddie Layton, a New York Sports Fixture, Is Dead". New York Times. ^ Kilgannon, Corey (December 31, 2004). "At the Grave, Remembering the Yankees' Music Man". New York Times. Retrieved 17 April 2016. ^ Thomas, Robert McG. Jr. (October 13, 1994). "A Marathon Touch in the Tribute to Lebow". New York Times. Retrieved 17 April 2016. ^ "Interment Search Results". mounthebroncemetery.com. Mount Hebron Cemetery. Retrieved 11 May 2018. ^ "NYC Yiddish theater actress Shifra Lerer dies". Associated Press. Wall Street Journal. 2011-03-15. Retrieved 2011-03-20. ^ "Rosenthal Murder Recalled By Death - Sam Paul, Who Was a Witness in Trial, Dies a Poor Man, Victim of Nephritis – Arrested, but Released – Became Involved by Being Head of Association Through Which Police Got Murder Clue". New York Times. January 11, 1927. p. 16. Retrieved 17 April 2016. ^ "Nathan Perlman, Jurist, 64, Is Dead – Associate Justice of Court of .Special Sessions Had Been U.S. Representative 4 Terms". New York Times. June 30, 1952. p. 19. Retrieved 17 April 2016. ^ "Dr. Schechter Dead; Noted As A Scholar – President of the Jewish Theological Seminary of America Stricken While Lecturing – His Career Ended at 67 – A Foremost Theologian of His Race and Famous for His Discoveries in Hebrew Literature". New York Times. November 20, 1915. p. 15. Retrieved 18 April 2016. ^ Amdur, Neil (March 26, 1976). "Fred Schmertz, Who Directed Millrose Games 41 Years, Dies – He Attracted Many Olympic Stars to Oldest Invitational Indoor Track Meet". New York Times. p. 38. Retrieved 17 April 2016. ^ "Sirovich Funeral Blocks 2d Avenue – 25,000 Persons in Streets Pay Representative Tribute – 1,000 Attend Services – Eulogy by La Guardia – Political Leaders, American Legion Members Present – Private Rites at Home". New York Times. December 20, 1939. p. 25. Retrieved 17 April 2016. ^ Whitman, Alden (June 5, 1970). "Menasha Skulnik, Yiddish Star And a Broadway Success, Dies – Sad-Eyed Comic Actor, 78, Acclaimed in 'Fifth Season' After Years on 2d Ave". New York Times. p. 35. Retrieved 17 April 2016. 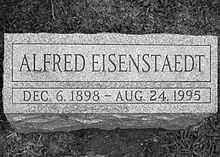 ^ "Many Pay Tribute To Thomashevsky – Thousands on East Side Pass Bier of Founder of Yiddish Stage in America – Rites to be Held Today – Cortege to Stop in Front of Three Theatres – 100 Policemen Will Be on Duty". New York Times. July 11, 1939. p. 25. Retrieved 17 April 2016. This page was last edited on 14 February 2019, at 09:10 (UTC).